This detailed article will illustrate you how to load or unload hive in Registry Editor and edit registry configuration of other users on system. It is already evident that Registry Editor is the optimum tool for manipulating system configuration. By tweaking registry, you can fix the issues on a Windows system or can modify a functionality according to your requirement. Today, in this article, I’ll show you the another instance of tweaking registry by loading and unloading hive. Before knowing the way to loading and unloading hive, let us know what actually these terms are. 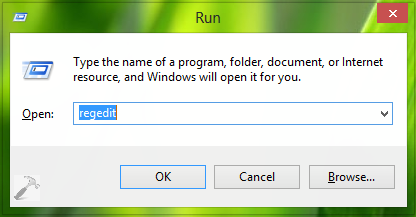 When you open the registry database using REGEDIT command, the computer represents you the configuration information of system for active users. Unfortunately, the information for passive users isn’t available. So by loading hive, we can load the information of passive users too in the database so that we can fix the issues (if any) with these profiles. This is most helpful when you have many profiles on same system and trouble faced on particular profiles. By unloading hive, we can unload the information for passive users which we have loaded recently, obviously an inverse operation of loading hive. 2. In the right pane of the Registry Editor window so appears, either select HKEY_USERS or HKEY_LOCAL_MACHINE, because these two are the only branches which you can use to load or unload hive. After selecting the branch, click File and pick Load Hive. 3. Since we’re loading the hive to make manipulation to passive user account, in the Load Hive window, go to C:\Users\USER NAME (where USER NAME is essentially the passive account user name). Input File name as ntuser.dat and hit Enter key. 4. Now in the following box, type the passive user account name and click OK. This will load the hive and new subkey under selected branch will be created with user name. Thus the passive user configuration information has been loaded to registry database and you can make manipulations to it. So far, we’re done with loading hive. 5. To unload the hive, highlight the subkey created in above step and click File, pick Unload Hive option. Hope you enjoyed the tip and find it useful! Go here if you cannot load hive due to “The process cannot access the file because it is being used by another process” error. I don’t have ntuser.dat file what should I do? ^^ The file should be there and its a hidden file. You please follow the steps, it will work on.